What a fantastic weekend it was for our swimmer Joe Greaves. 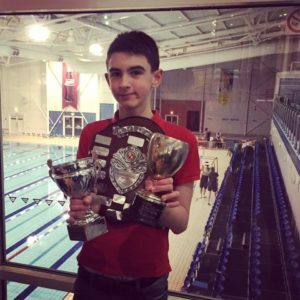 First he won 7 medals including 5 golds on Saturday night in Guildford, also winning the award for Best Male Swimmer. Then to top it off he swam 2.5k in the Olympic 50m pool in London on Sunday for BBC Sport Relief. We are all very proud of you.